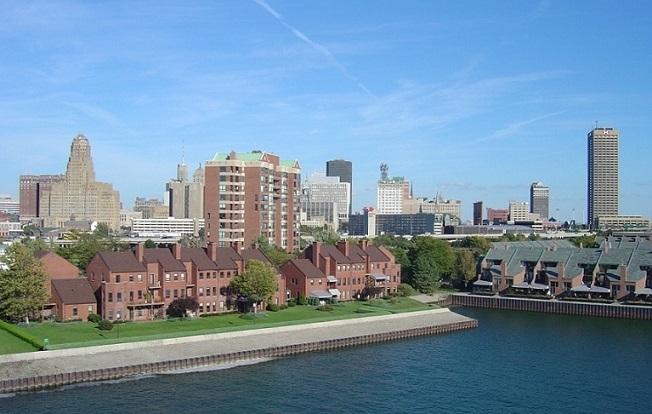 If you’re in search of a booming real estate market – one marked by rising prices, bidding wars, and a tight supply of homes – there are few places experiencing a bigger rush today than Buffalo, New York. Over the past few months,Buffalo real estate has taken off. Price per square foot, a key metric in evaluating the worth of homes in a certain area, has doubled within a year in many parts of the Buffalo area. Even in “slower” areas, like Elmwood Village, the increase in price per square foot is up by 50 percent. Certain neighborhoods in the area are experiencing the highest gains. Allentown, North Buffalo, most of the West Side, Williamsville, Hamburg, East Amherst, and Lancaster are red hot right now, with prices soaring and competition for homes increasing by the week. Stories abound of bidding wars escalating out of control, and couples looking to buy homes but not finding any available due to rampant demand. That problem – too many buyers and not enough sellers – has been exacerbated by low supply. In the Buffalo area, for example, the supply of homes for sale have dropped 28 out of the past 30 months. In the western New York area, the supply of homes for sale was at the lowest point in a decade for the first third of 2014. Most of the demand for Buffalo real estate have been a result of people moving from Buffalo suburbs back into Buffalo proper. As older neighborhoods become renovated by this influx of people, their value is increasing, and with it, home prices. The cash offer has reigned supreme; most homes that are sold are sold without contingencies. This has only increased the level of competition throughout the city for what homes are for sale. Safe to say, the market in Buffalo at the moment is definitely tilted in the favor of sellers, much like other areas throughout the country who have recovered from the trough of the recession and are roaring back. This summer could see even more movement, since this time of year is often a peak selling season in much of the United States. If you’re looking for Buffalo real estate, check out our listings of Buffalo foreclosures for affordable homes at a discount from market prices.